Looking for a way to reconnect as a family while exploring and learning? Visit a national park for your next family getaway. 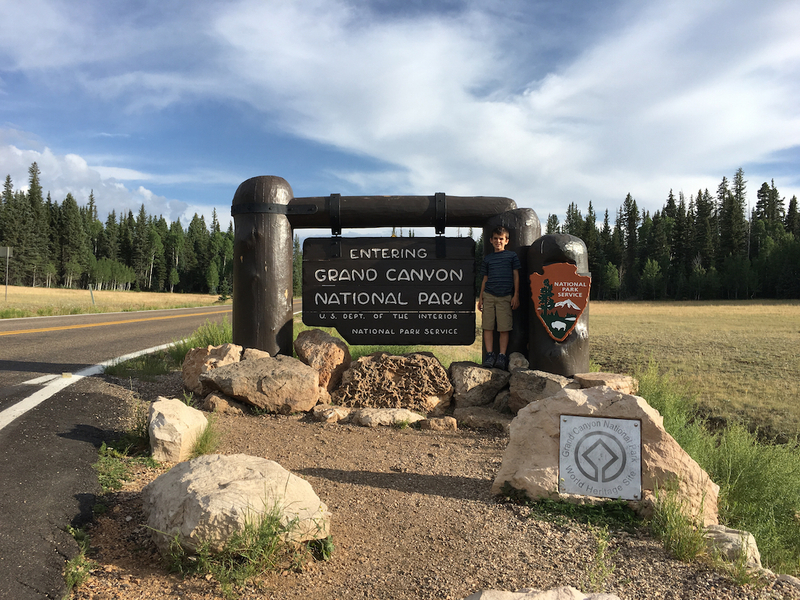 The National Parks TravelingMom and her three kids have wandered through 41 of the 60 big national parks. After seeing the tallest mountains and the deepest canyons, she shares the 2019 National Park Service fee-free dates. US National Parks For Free! National parks offer priceless beauty, and for five days in 2019 the admission price is just that – priceless. Only 118 of the 418 US National Park Service sites charge admission ($3 to $30). And the remaining 300 sites are free to enter year-round. With iconic destinations like Mount Rushmore National Memorial and Zion National Park, your family can explore the United States’ most distinct spots. Then throw the tent in the SUV and it’s a budget vacation kids will remember for years. Most camping spots are less than $30 a night. Since the National Park Service charges reasonable entrance fees to the parks, a national park trip is budget friendly. A week in Grand Canyon National Park is $30 for seven days for a carload of people. 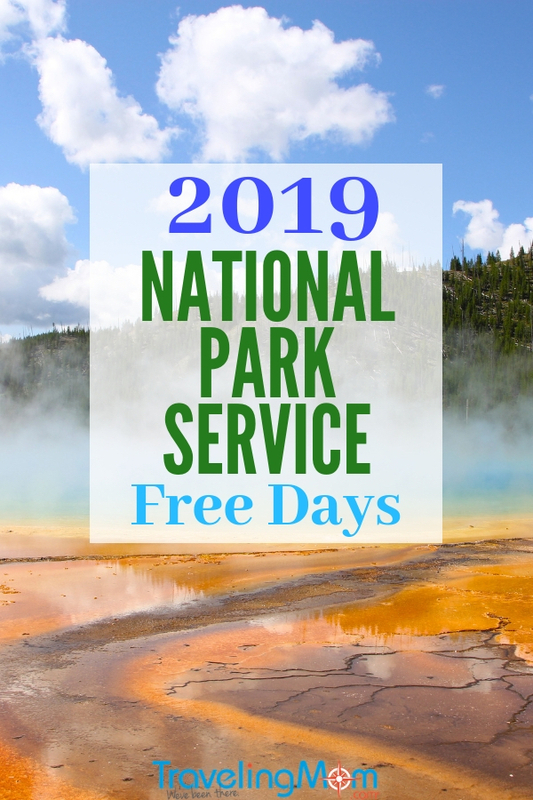 Even better than cheap is free, so the National Park Service offers several fee-free days sprinkled throughout the year. Note: Fee-free days do not include user fees like camping, boat launches, shuttle buses and tour fees. If you plan on visiting several national parks, consider an annual National Park Pass. I’ve been an America the Beautiful Annual Pass holder for years. The U.S. national parks are an American innovation that the world has adopted. 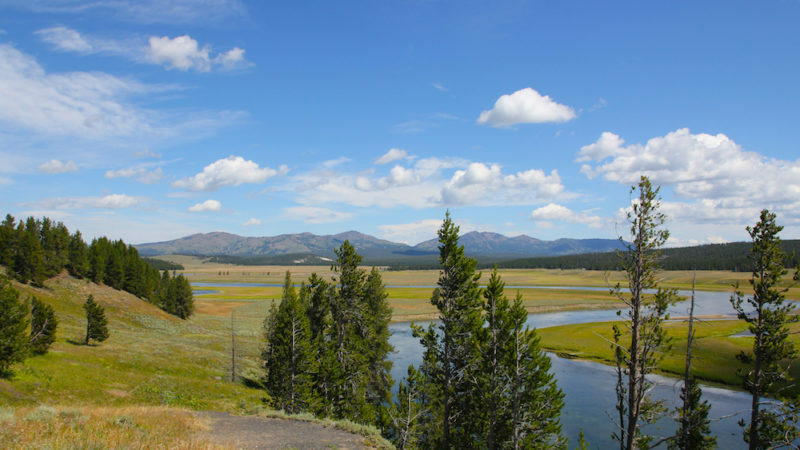 In 1872 Yellowstone National Park in Wyoming became the first national park. On August 25, 1916, President Woodrow Wilson created the National Park Service to govern the 35 national parks in the U.S. at the time. Since then the National Park Service has blossomed into 417 national parks, national historical parks, national monuments, national recreation areas, national battlefields and national seashores. Some parks feature vast, iconic scenery like Big Bend National Park in West Texas and Olympic National Park in Washington State. 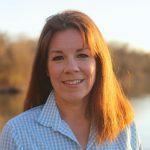 Then others recognize an area’s historical significance like the San Antonio Missions National Historical Park and the national parks of New York City. Finally national park sites document important events, like Mount St. Helens National Volcanic Monument. When my kids were babies, I promised myself to show them the treasures of their country. So after visiting 41 of the 60 big National Parks and close to 100 National Park Service sites, they’ve explored the jewels of the continent. What Are National Park Junior Rangers? They are junior-sized park rangers. 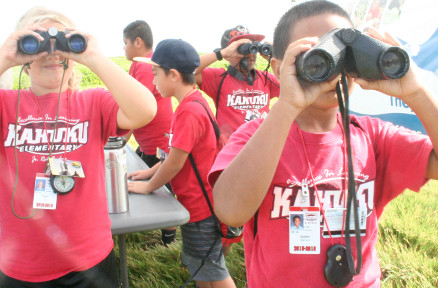 Kids from 5 to 13 can join the ranks as they explore, learn and protect our national treasures. Over 200 national park sites hand out free booklets specially designed for each park (a few parks charge $3 for the booklet). First, kids explore a park site with their families and complete fun activities in the Junior Ranger booklet. Then kids turn in the booklets, take an oath and get an official Junior Ranger badge or patch. Since national parks are popular destinations during school breaks and holidays, make reservations as early as possible. Lodging reservations are available 13 months in advance. Parking can be an issue at popular destinations during the middle of the day. Since many features have barricades kids can climb over, watch your children at all times. Keep wild animals wild by not feeding them, even the cute ones that beg. Keep at least 25 feet between people and animals, 100 feet between people and bears. Bring refillable water bottles and food for your national park visit. Food service is limited and kids love picnics. If you don’t have kids traveling with you, most parks allow adults to complete the NPS Junior Ranger booklets for the same badge or patch. Thank you for sharing your research. These are four important dates I’m putting on the family calendar right now–free is good.